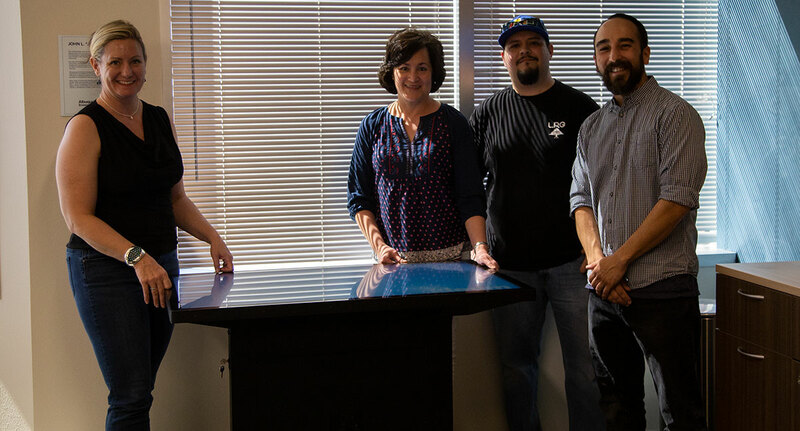 On March 29, 2019, Ideum delivered a 46” multitouch table with a fully integrated computer system to Albuquerque Economic Development (AED). 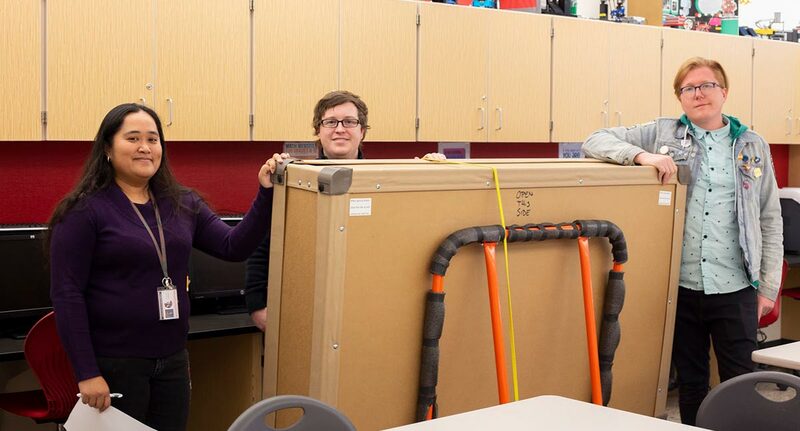 Ideum was honored to donate the system, which was requested by the nonprofit organization to support its mission of promoting the economic interests of the city of Albuquerque and the state of New Mexico. Since 1960, AED has been a major player in helping grow our local economy grow by recruiting new employers and industries and generating quality job opportunities in a wide range of fields. 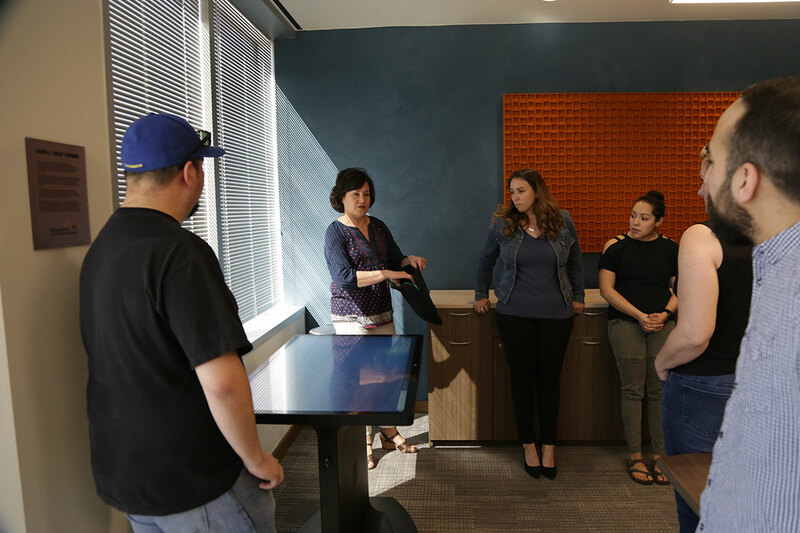 Formalized in June 2018, Ideum’s Technology for Our Community program is designed to support our region by donating multitouch tables and displays to local nonprofit agencies and government entities. 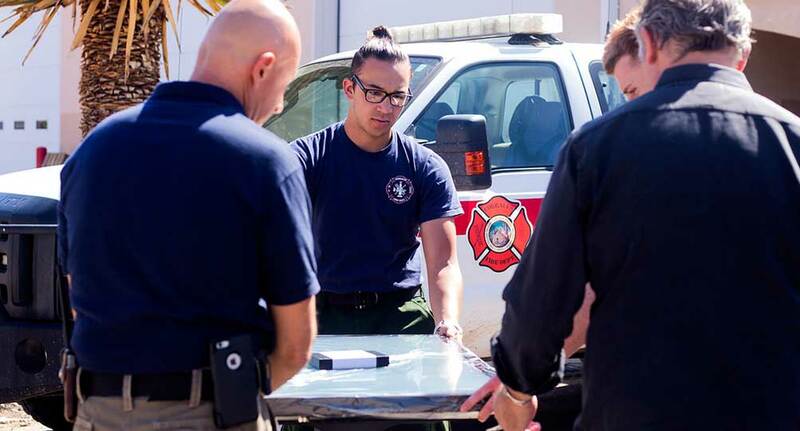 Last year, the Corrales Fire Department received a multitouch table to help them strengthen local public safety efforts, particularly through monitoring the Bosque during the annual fire season. The Technology for Our Community program is part of a broader spectrum of Ideum community involvement featuring more than a dozen yearly events, including youth events, conservation programs, and STEAM tours. Ideum is proud to be an active participant in the effort to strengthen New Mexico’s economy and educational infrastructure. If you would like to submit a request to be considered for a donation, please complete our online form. Please note that the program is currently only available to organizations based in New Mexico. While Ideum donates products throughout the year, we can only do so as products become available. 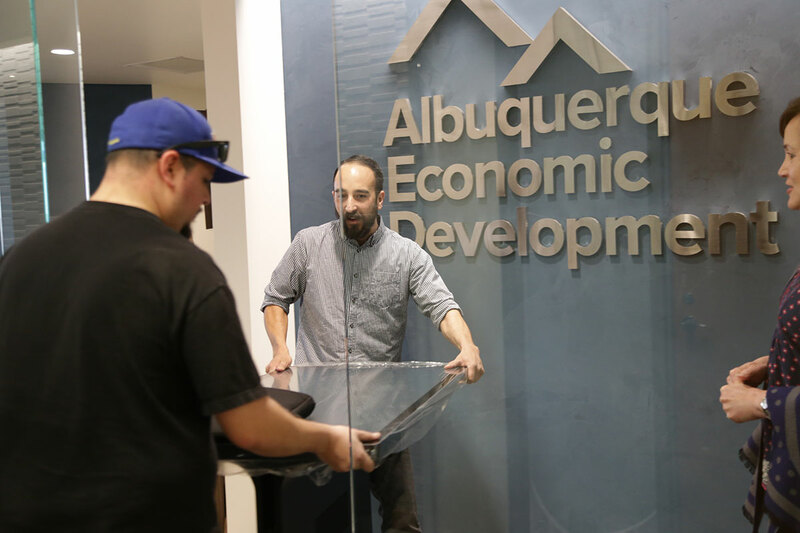 Our team delivered the multitouch table to Albuquerque Economic Development on March 29, 2019. 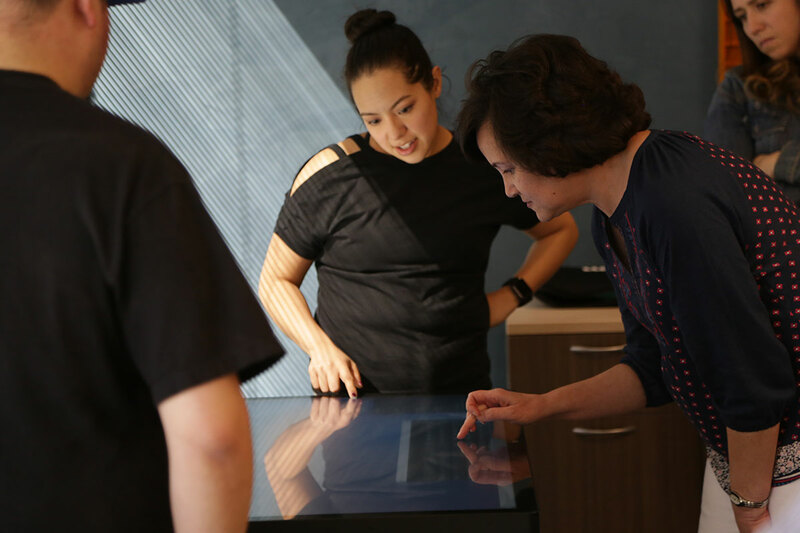 The Ideum touch table will be used to promote economic growth and attract new employers to the area. Ms. Ceela McElveny, VP of Operations, accepted the donation on behalf of the organization.